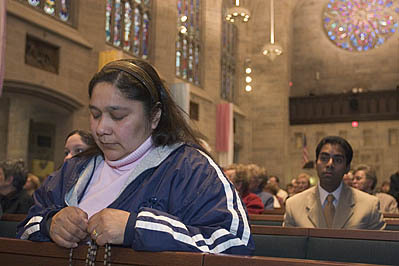 Detroit, Michigan - Catholics pray for Pope John Paul II at Blessed Sacrament Cathedral as he is near death. The Archdiocese held a prayer vigil for the Pontiff. Marie Coules of Fraser, Michigan says the rosary.